Berkeley is no stranger to progressive food-related business models — it is, after all, home to a barista-owned coffee shop (Alchemy Collective Cafe) and a cheesemonger-owned cheese shop (The Cheese Board Collective). Now, the city is also the site of a fisherman-owned fish market: Bonita Fish Market (1941 University Ave.), which was opened by a pair of active commercial fishermen, Hung Nguyen and Phat Vo, in downtown Berkeley in November. Although the shop is small and carries a limited, seasonally dependent selection of fish, Bonita is one of the most exciting new markets to open in the East Bay in years. According to Vo, the chief advantage that he has over his competitors is his thirty years of experience working directly with the fish. Or, as he put it, “I’m a fisherman, and they’re not.” What that translates to, he said, is a network of personal connections with local fishermen and a deep knowledge of exactly where the fish are coming from. 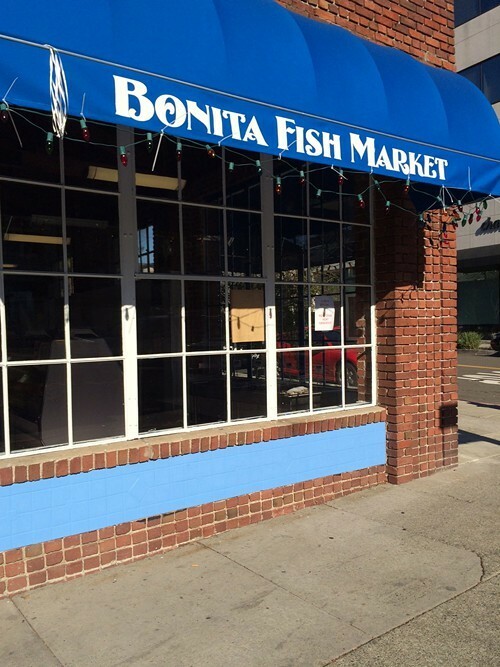 Sustainability-wise, Bonita is also more progressive than your average fish market. Vo estimates that about 80-percent of the seafood that they sell is sustainably caught — they avoid species that are vulnerable to overfishing, such as the orange roughy and the bluefin tuna. The only exceptions are popular fish like swordfish and mahi-mahi, which Vo said they feel forced to carry because of customer demand. Mind you, that kind of consideration comes with a price tag. When I paid a visit recently to buy shrimp, the only kind available were some very large wild shrimp from Mexico, priced at $16.95 a pound — not exactly a bargain. Still, on the whole, the prices compare favorably to other high-end, sustainability-minded fish markets in the area. And while there are other ways to buy seafood direct from fishermen in the Bay Area, at farmers’ markets and via community supported fisheries (CSFs), there are definite advantages to being able to do so at a dedicated brick-and-mortar shop — not the least of which is that you can get fresh fish any day of the week. 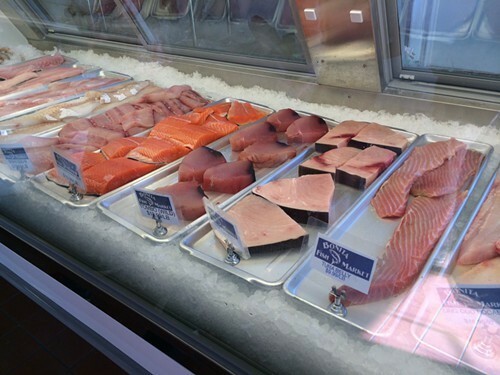 Currently, Bonita Fish Market carries about four or five kinds of whole fish (branzini, Thai snapper, petrale sole, and trout last week); assorted sashimi-grade fillets, all cut in-house; and both live and cooked Dungeness crabs — since the market hasn’t installed a live tank yet, the live ones are kept out back. You have to know to ask for them. The biggest difference is that once the summer arrives Nguyen and Vo will bring in more of the fish themselves, alternating so that one of them can man the store while the other is out at sea. By cutting out the middleman, Vo said he expects to be able to sell King Salmon — the summer’s bestseller — about $3-per-pound cheaper than his competitors. If the prospect of heading out on a boat several mornings a week while also running a fish market full-time sounds daunting — or even insane — to you, Vo said there’s no need to worry on his behalf: “Fishermen, they are hardworking people, man,” he said.